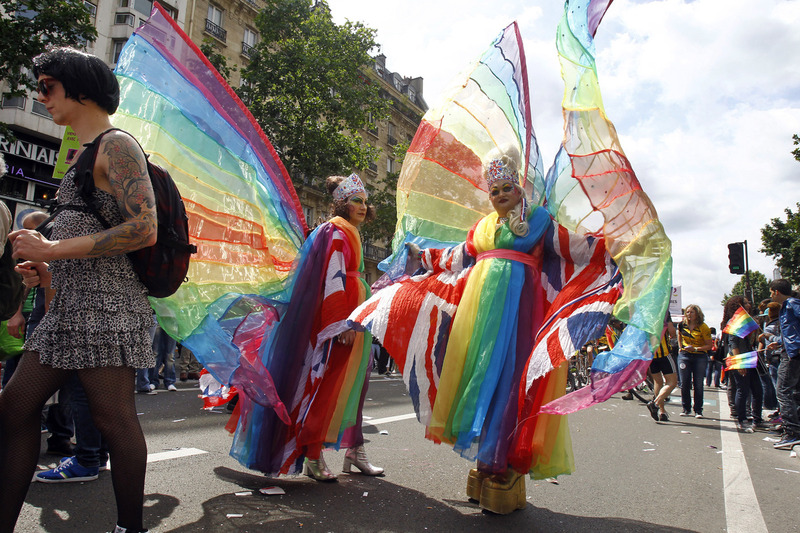 KIEV, June 6 (Reuters) - Several dozen unknown assailants attacked a gay pride march in Kiev on Saturday, throwing flares and wounding two policemen, a Reuters witness reported. 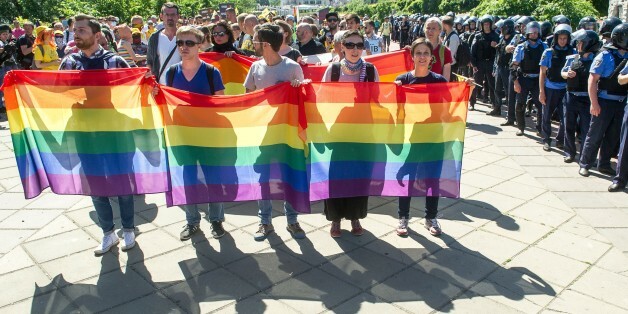 On Friday the organizers for 'KyivPride2015' said the march along the Dnipro river would go ahead despite warnings from city mayor Vitaly Klitschko, who advised the event be canceled because of a threat of violence from far-right groups. Despite the presence of several hundred police in riot gear, the march of around 150 LGBT (Lesbian, Gay, Bisexual and Trans-gender) supporters carrying rainbow banners and placards came under attack and 25-30 "hooligans" were arrested, parliament member Serhiy Leshchenko said on Twitter. Leshchenko said police had prevented any direct clashes between participants in the march and the attackers.